If US Marines are sent to guard the de facto US embassy in Taiwan, the American Institute in Taiwan (AIT), it could be treated by Beijing as “severe subversion” and “even an invasion of the US military on Chinese soil,” a Sunday op-ed in Chinese state media warned. A new report indicates US military personnel are set to deploy to the large new AIT building in Taiwan to safeguard US personnel there. Beijing would consider such a move a "subversion of the one-China policy," the Global Times op-ed warned, and grounds for Beijing to deploy "an increasing number of countermeasures which Washington will have to confront." The US State Department has yet to decide whether US Marines will in fact be stationed at AIT, notes David An, senior research fellow at the Global Taiwan Institute, as they are at other other US embassies around the world. 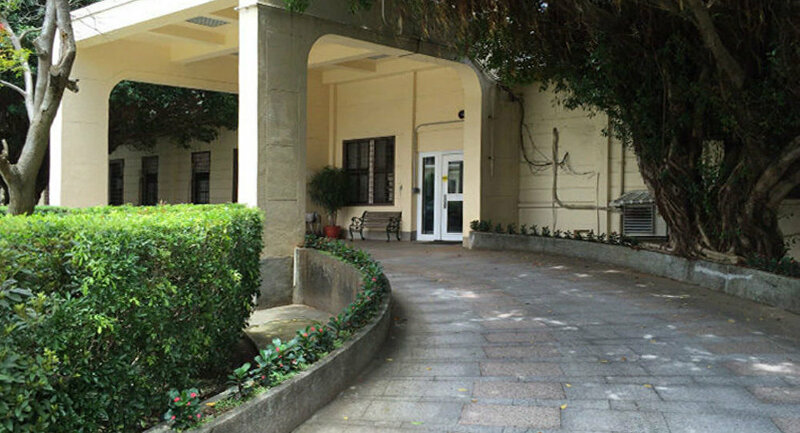 The AIT, however, though it performs the functions of a US embassy, is not technically an embassy building — an important distinction in the delicate diplomatic dance between Washington, Taipei and Beijing. Other questions, like whether or not the US service members would be dressed in military uniforms or casual clothing, also have yet to be answered. Based on these facts, An told Sputnik News Monday, "My sense is that the final decision is still under consideration inside the US State Department." An served as a political military affairs officer covering the East Asia region for the State Department from 2009 to 2014. That the decision is still up in the air didn't stop the Global Times from issuing a stern condemnation against potential provocations: "If the US Marines publicly station at the AIT in their uniforms, that would be treated by Beijing as a severe subversion of the one-China policy or even an invasion of the US military of Chinese soil." "The AIT would also be regarded as a primary stronghold for the US invasion of China. Taiwan leader Tsai Ing-wen's administration would be defined as a traitorous group. That being said, from a strategic perspective, the AIT would become the most insecure place in Taiwan and a blasting fuse for clashes," the Global Times noted. The Chinese report further stressed that if Washington "stirs up trouble and makes extreme arrangements; it knows how Beijing will respond." But, according to An, 10 or 20 or even 30 US Marines in Taiwan protecting the AIT "would hardly be an ‘invasion,'" since such a tiny number of US forces "is not a real capability against foreign militaries." To compound the potential strain in US-China relations over matters relating to Taiwan, the ongoing trade dispute between Beijing and Washington shows no signs of letting up anytime soon. "We clearly have a chronic problem with China," Robert Lighthizer, the highest ranking US trade negotiator, said in testimony before the Senate last week. "Some issues will be dealt with in a short period of time," he said, but added that "directionally, we're going to have a problem with China that's going to go on for years."